At noon this Wednesday (tomorrow! 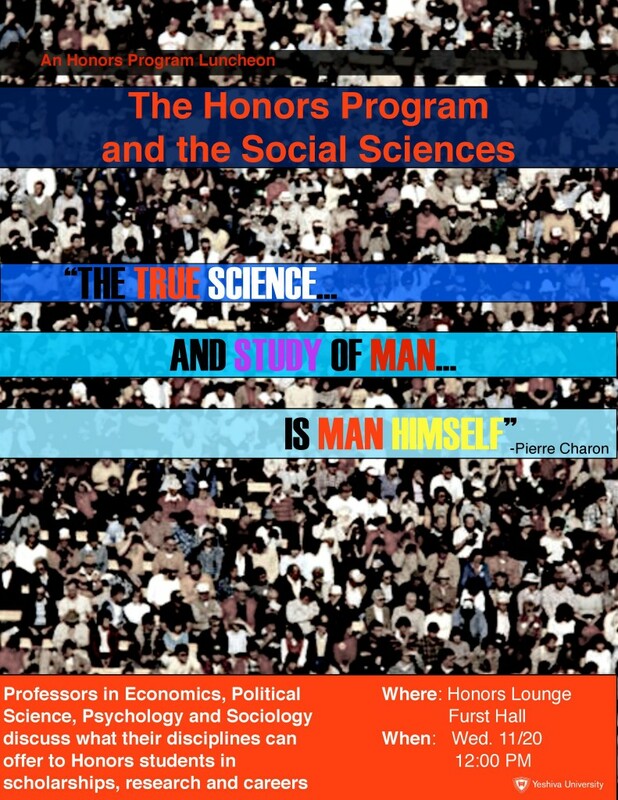 ), November 20th, we will be hosting a luncheon in the Honors lounge to give students a chance to meet professors in the Social Sciences. Chairs and professors of the Sociology, Psychology, Political Science, and Economics departments will be in attendance to talk with the Honors students about what their disciplines can offer to them, including research, scholarships, and careers. This event is a must if you are in one of these fields, and if you had any questions about how to get more involved in the major this is your chance. Pizza will be served. Please RSVP to YCHonors@YU.edu.